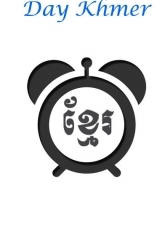 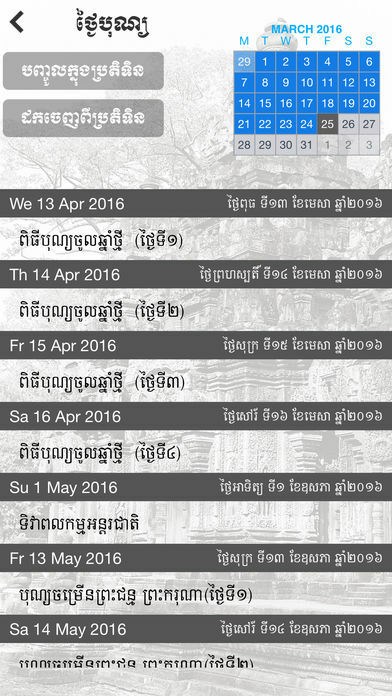 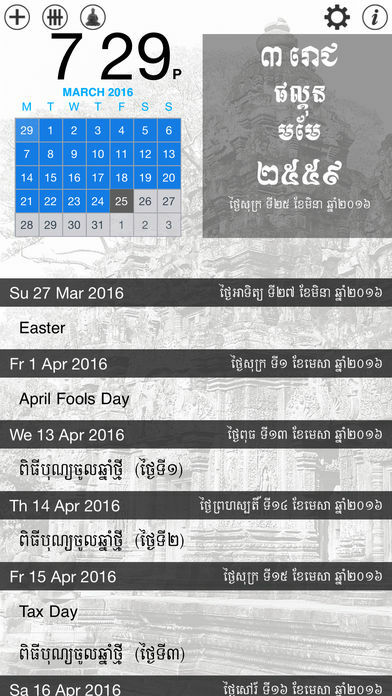 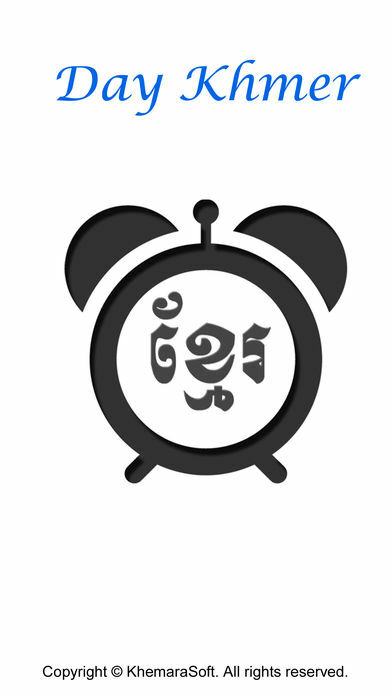 The time, date, calendar, your schedule of upcoming events, and Khmer Calendar at a glance. 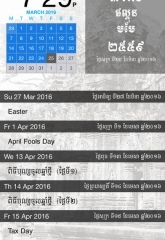 – Current month and date plus Khmer Calendar in detail. 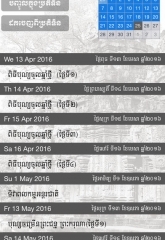 – List of all your upcoming events plus add Khmer Public Holiday. 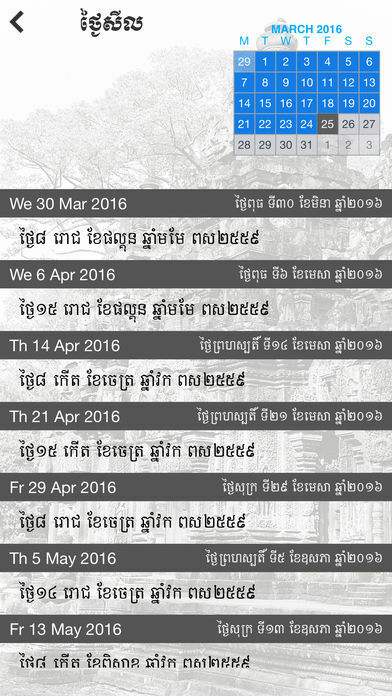 – Tap + to add new events.